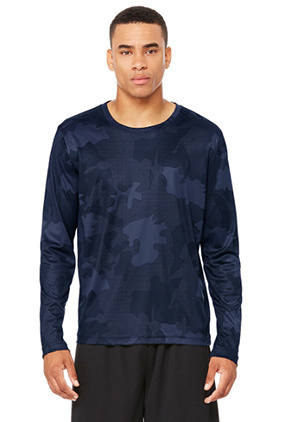 A long sleeve performance tee that is wearable all year round. 100% poly interlock performance long sleeve t-shirt. Dry wicking. Antimicrobial. Tear away label.